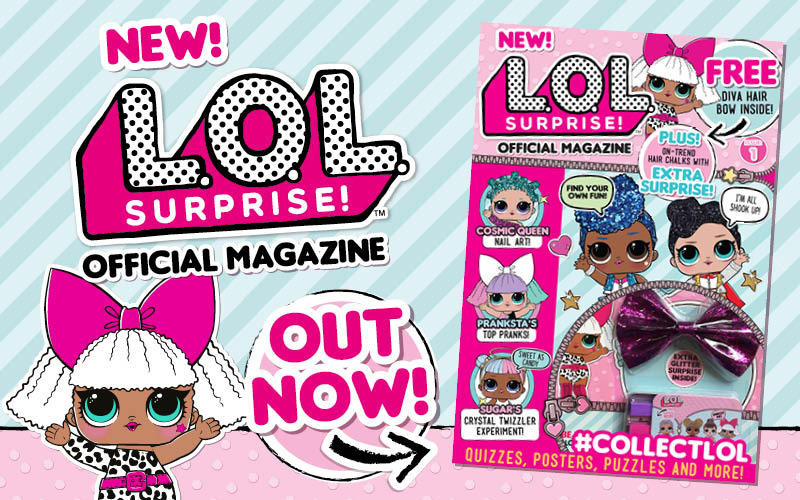 Our 20 lucky winners will each receive a six-issue subscription to the new L.O.L. Surprise! Magazine. This exciting new magazine is bursting at the seams with fierce facts, fun things to make and do, collectors posters and tons of surprises. Plus, each issue comes with a fabulous L.O.L. Surprise! cover gift which is exclusive to the magazine. Issue 1 is on sale March 21st from all good grocers and newsagents.